Almost a year ago, Olivia Shadowheart and Jason Frostsong had to figure out how to protect a city from its own possessed citizens without anyone knowing they'd had anything to do with it. They are Banshee and Cryophoenix--two of six Luminaries that save the Manifested from themselves when the Other takes their minds and turns them into twisted monsters bent on revenge. But like all Luminaries, Banshee and Cryo's true identities are a secret, even from each other. As the newest Luminary pair, not much is expected of them except to learn and train for their eventual responsibility in a few years but Banshee's got ambition. She's determined to be more than Olivia ever could, and with Cryo by her side, they find themselves in the middle of a battle they aren't ready for. Their lives, both civilian and Luminary, are about to collide. The question is whether they can learn to trust each other--both with and without the transformations--or if the Other's growing power will claim more than just their secrets. ASCEND, SUPER A/N OF SKYPILLAR! The Owl: One of the most revered yet feared criminals in the Underground of Thols. The woman beneath the cowl is a dangerous mystery none are brave enough to uncover. Some say it was the merge of the indigo and violet colours that sent her over the edge, some say she's not human. Eleven-year-old Raphael Dukehart and his adopted sister Zoe live on the outskirts of Sirah where rubble and disrepair are common sights. Life is dangerous here, a place where even the Colour teams charged to protect them fear to tread, yet it's their only choice. As a single parent, his mother barely has enough colour to sustain their small family, but Raph has a plan. He's going to get all three of them out of Sirah and start a better life somewhere the street lights stay on through the night. There's just one cloaked hitch in it all--the girl who just saved their lives with a colour he's never seen before. In a cityscape populated by individuals with magically inclined abilities powered by Colour, Athira is a hunter. Known only as the Owl, a notorious criminal with allegiances to none but herself, she searches for answers from the worst the city has to offer. No one is above her notice, and once noticed, there is no escape. When her search leads to a series of magical disturbances and a girl who was supposed to be dead, Athira's world of solitude shatters. Predictions from the lost Colour mark her friend a saviour, and as an ancient horror begins to rise, Athira starts to wonder who she should have been hunting all these years. With magic thought to be extinct, Kira struggles to find balance between using her abilities and keeping them hidden for fear of death. That balance is shattered when devastation takes a life precious to her. Her world is thrown into chaos, forcing her to flee or be killed. 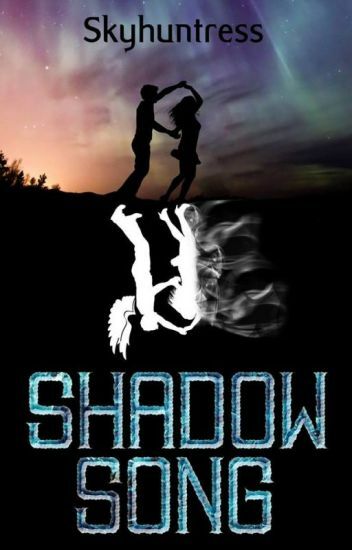 No longer allowed to hide in the shadows, Kira must leave the safety of her sheltered life and seek out her destiny. This was my NaNoWriMo 2013 story. As time passes, bonds grow stronger. So does his fear. When Alec is finally accustomed to his life in Draeyer Academy, he returns to Arktis as one of the Sentire Representatives in the annual Sky Games. His wish to lie low during the event shatters after he aids a fellow Sentire during a Drae rampage. Things take a turn for the bad with the enemies after him and Areisha. Through it all, Alec discovers more about himself that none will ever expect. As for the Shcielle...he only wishes he knew what it was. Your presence has been long overdue"
Leah is a Radiant, a dying race that is able to crystallise Light. Plagued for centuries by a parasite able to turn them into mindless monsters known as Lightless, the Radiant's homeland has been long since lost. Leah's seen what the parasite has done to her people's morale, and she's determined to be the one who finds the cure. Only the League of Light still challenge the expansion of the Lightless, but new recruits are growing scarcer, their Radiant blood thinner as the League struggle to maintain numbers. When Leah arrives with her Radiant features and the full ability to manipulate Light, not all of them see her as a blessing. There's a divide between the pure Radiants and the humans who can claim their blood, and with shadows in the League, Leah's going to have to wade through it all if she wants to find her cure.